The Ignatz Awards celebrates outstanding achievement in independent comics and cartooning. The Small Press Expo (SPX), celebrates the outstanding achievements of independent comics, graphic novels and alternative political cartoons with the annual Ignatz Awards. The Ignatz Awards have been handed out since 1997 and this year will be presented at the gala Ignatz Awards ceremony held on Saturday, September 15. The nominees for the ballot were determined by a panel of five of the best of today’s comic artists, Mita Mahato, Carolyn Nowak, kevin czap, Leila Abdelrazaq, and Taneka Stotts. The votes for the awards will be cast by the attendees during SPX, which takes place in Bethesda, Maryland on September 15-16. The Ignatz, named after George Herriman’s brick-wielding mouse from his long running comic strip Krazy Kat, recognizes exceptional work that challenges popular notions of what comics can achieve, both as an art form and as a means of personal expression. Annual awards presented at this weekend’s Small Press Expo honor excellence in independent comics. My Favorite Thing is Monsters by Emil Ferris continued to rack up accolades this weekend as it took home two Ignatz Awards last night. Other winners at the annual awards presentation included Jess Fink’s Chester 5000, Ben Passmore’s Your Black Friend and Carolyn Nowak’s Diana’s Electric Tongue. 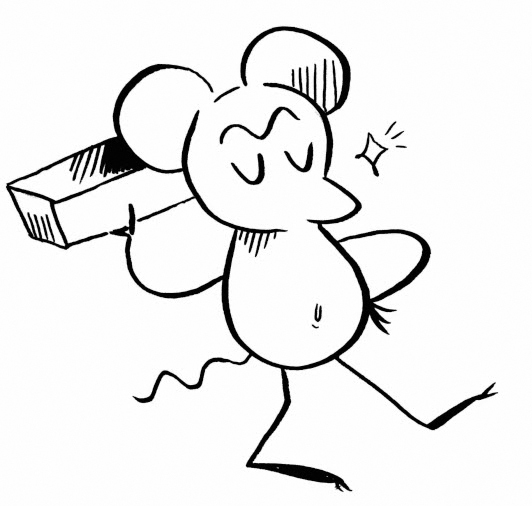 Named after the brick-throwing mouse from Krazy Kat, the awards honor “excellence in independent comics” and are selected by a jury of five creators and voted on by attendees of the Small Press Expo. The jurors for this year’s nominations were Neil Brideau, Glynnis Fawkes, Sara Lautman, Trungles and David Willis. The Washington Post shares this year’s slate of Ignatz Awards nominees, which are presented annually at the Small Press Expo in Bethesda, Maryland. Named after the brick-throwing mouse from Krazy Kat, the awards are selected by a jury of five creators and voted on by attendees of the show. The jurors for this year’s nominations were Neil Brideau, Glynnis Fawkes, Sara Lautman, Trungles and David Willis. Annual awards presented Saturday night at the Small Press Expo in Maryland. Tillie Walden, Kate Beaton, Lisa Hanawalt, Noah Van Sciver, Meredith Gran, Carolyn Nowak and Sam Bosma all took home bricks last night from the Small Press Expo’s annual Ignatz Awards ceremony. Walden actually took home two bricks: one for outstanding artist on The End of Summer and one for promising new talent on I Love This Part. Named after the brick-throwing mouse from Krazy Kat, the awards are selected by a jury of five creators and voted on by attendees of the show. This year’s jury included Tony Breed, Summer Pierre, Keiler Roberts, C. Spike Trotman and J.T. Yost. Daniel Clowes, Kevin Huizenga, Jason Shiga, Kate Beaton and many others vie for this year’s awards. The nominees for the 2016 Ignatz Awards have been announced by the Small Press Expo. Named after the brick-throwing mouse from Krazy Kat, the awards are selected by a jury of five creators and voted on by attendees of the show.